Are you looking to travel on the cheap? Santa Cruz is a fantastic place for fun and cheap adventures. The city full of hidden gems if you know where to look. This is my first post of several on day adventures in Santa Cruz. Start your day of right, head to one of two Verve Coffee Roasters locations. Both locations are full service coffee shops and provide and environment of modern yet artsy décor. Verve has arguably the best coffee in all of Santa Cruz. It is a local favorite, a drink will run you about $4-$5. Tip: You can expect a stop for coffee here to take 10-15 minutes at minimum in the mornings. Verve is all about the experience and great coffee. This is a classic liquor store and deli set up. The value here is unbelievable. Sandwiches run between $6-$8 and range from a hot pastrami to a turkey, bacon, and avocado. The six inch subs are packed full meat and toppings. Each sandwich is made on the spot and to custom order. This is a midweek hot spot for local employees to grab lunch on the run. Tip: The deli is closed on Sunday, so be sure to come during the week or on Saturday so you don’t miss out. Affectionately known as “Charlie’s”, this establishment is the epitome of Santa Cruz. The colorful design, communal dining, and organic Asian fusion fare spell out success in Santa Cruz. A truly cheap eat, rice bowls run about $6-$8, Charlie’s has something for everyone. The servings are quite large and depending on your appetite could be shared if you really wanted to keep it cheap. Tip: If you are not into peanut sauce and curries, then the hoisin pork rice bowl is for you. This could be considered their signature dish and sits well with even the pickiest of eaters. Marianne’s is a Santa Cruz staple. It is the last of the classic ice cream shops. You can’t miss the bright red exterior paint job and amusing dancing cow wall paper inside. There are over 30 flavors unique flavors including, green tea, 1020, cinnamon caramel, bubble gum, and more. Tip: Be sure to grab a number right when you get inside. The shop is often very busy and the number assures that you will be served. Also, get a “double junior” and get two flavors for less. The portions are huge so you will still get lots of your favorite flavors. Grab your coffee from Verve to go. Stroll the two blocks to East Cliff Dr. This is a popular surfing spot and amazing to watch the locals do their thing. You can continue walking down East Cliff Dr on the paved walking path. If you walk the whole path and back to Verve it is about 1.5 miles round trip. Santa Cruz has many great attributes, but the best has to be the ocean. Take your sandwiches and head down to Sunny Cove (dead end at the end of 17th Ave), if you are lucky enough there is a bench that overlooks the beach. It is great vantage point for wildlife viewing and people watching. This can also be a great place to clamber about the rocks and explore the coastline. Tip: In the summer, permits are required on the weekends to park here between 11am-5pm. Parking is strictly enforced so either pay the $7 for a permit or park a few blocks back in a non-permit zone. If you are not ready for dinner yet, but need a break from walking and exploring, check out Beer Thirty Bottle Shop & Pour House. This is an up and coming beer garden located in Soquel. They have 30 rotating taps and over 250 different bottles, many from local breweries. If the weather is nice, sit in the outdoor patio with picnic style seating. 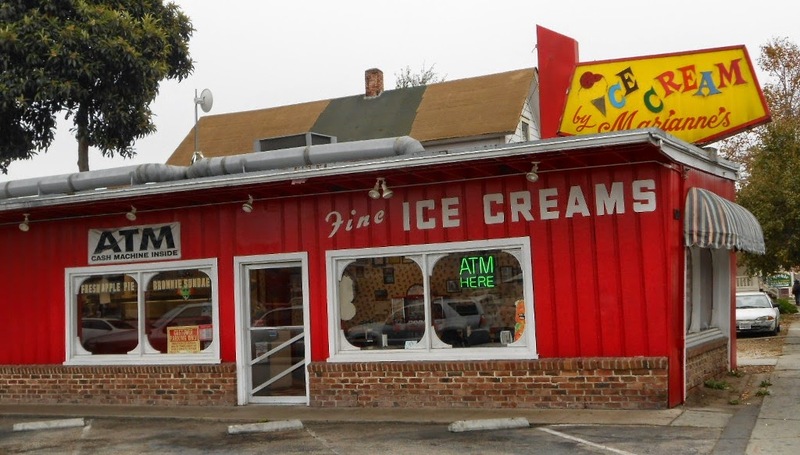 After dinner, grab your favorite ice cream flavor and head out to West Cliff Dr. In the summer, it is the best place to catch the sunset. Go for a walk, grab a bench, or watch the surfers. This is the best way to cap an amazing day in Santa Cruz.